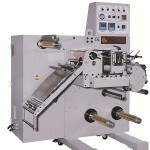 Link Label Europe is the sales organisation of Link Label Machinery in Europe. 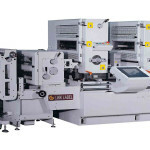 Link Label Machinery is based in Taipei and designs and produces label printing machines. 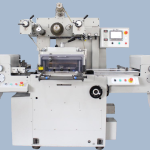 Major products are intermittent label printing machines, flat bed hot-stamping and die-cutting machines, combinated label finishing machines, rewinder, slitter, sheeter and other related products. 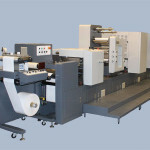 Our machines are designed for the production of small to medium volume label printing orders with short setting time and thus low material loss for start up. They are easy to operate, fast speed, according to CE standards and have got TÜV Certificate of Conformity and SGS Certificate of Compliance. For product inquiries, technical support and any other questions we provide great customer service. Get answers, information and resources to help you with all your business needs. The state of the art Link 350 off­set prin­ting ma­chine can be featured with various modules for label converting and finishing. Servo con­trol­led screen prin­ting ma­chi­nes by Link La­bel are made to stand am­bi­ti­ons chal­len­ges. Semi ro­tray let­ter­p­ress prin­ting ma­chi­nes by Link La­bel are stan­ding out due to high ca­pa­city and low pri­ces. Hot foil stam­ping units are offered as stand alone or combined with other converting and finishing modules for complete label refining. 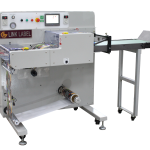 Link Label offers a selection of loop controlled rewinds with different performance features. 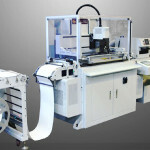 Fully elec­tro­nic, user fri­endly ope­ra­tion, va­ria­ble si­zes, high pro­duc­tivity, sui­ta­ble for la­bel stock and paper. There are lots of ways that you can get in touch, so choose your country and find your European Link Label reseller.